The town named after missionary and explorer David Livingstone forms the gateway to the Victoria Falls. The Zambian and Zimbabwean side of the falls offers different views. Situated within the Southern province of Zambia, the city is at the border with Zimbabwe separated by the Zambezi river and the Victoria Falls bridge. The town is a major route to the Falls, but over the years, the city developed into a great tourism town popular amongst history lovers. The Livingstone Museum and Maramba Market is worth a visit. It is a city rich in scenery and heritage, and the tourist heart of Zambia, and is a good stop over when travelling North. Medical Centre. Fast Food. Auto Dealer/s. Commercial Offices. Visit to the Livingstone Museum. Archaeology Gallery. A selection of hotels, lodges, guest houses, B&B, backpackers and camping is available around the city. (Jan-2019). Car rental services offered by Europcar situated at Livingstone International Airport, Main Airport Building open from 06h00-20h00 daily, Tel : +260(0)21 332 2753. Voyager Zambia is the Franchise for Europcar. (Jan-2019). For internet access, visit the City Cyber Business Centre situated along Dambwa central market open between 08h00-18h00 daily; Cell: l +260(0)95 420 7142. Services offered also includes laminating, photocopying and binding among others. Most accommodations and restaurants now provide free WiFi access. (Jan-2019). City has a branch for the Speciality emergency services specialising in air medical evacuations tel +260(0)21 332 2330. If you have a medical problem when in Zambia, Specialty Emergency Services has a Call Centre (24 hours). Phone them on 737. 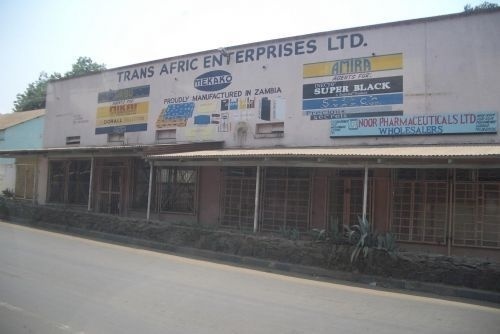 This company has offices in Livingstone, Lusaka and Kitwe. But they will fly anywhere to assist if visitors have the right insurance. If you want to check your insurance, contact SES on [email protected] (http://ses-zambia.com/). You will find good food supplies here in Shoprite and Spar. Restaurants and fast food take-aways scattered all over town. (Jan-2019). Note that petrol and diesel prices change all the time, and you can expect to pay different prices at different fuel stations. 'KR' in the petrol and fuel prices refer to 'Kwacha renewed', as the many zeros are being removed from Kwacha currency. Some fuel stops in Livingstone includes the Engen fuel stop, Total fuel stop, Puma Fuel Stop, all situated along the main T1 highway in Livingstone. (Jan-2019). 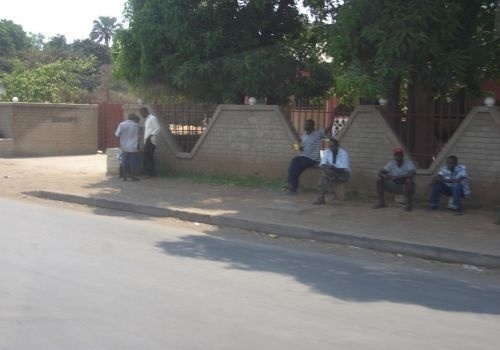 Hospital contact is the Livingstone Central Hospital open 24 hrs a day situated along Zambia Youth Ave. There is also the Southern Medical centre along Mokambo Rd, also open 24hrs; Tel: +260(0)21 332 3547. Clinics also includes the Maramba along Maramba Rd and Mahatma Gandhi Clinic along Kanila and Maoma Rd also open 24hrs. Doctor Tel added is for Dr Shroff. Most pharmacies are situated along the T1 major highway. These includes the Healthrise pharmacy, Health and Glow pharmacy and HK pharmacy amongst others. (Jan-2019). For vehicle repairs and auto parts visit Autoworld situated along John Hunt way open till from 08h00 to 17h00 during working days; 08h00-12h00 on Saturdays and closed on Sundays; Tel : +260(0)97 996 7768. There is also Foley's Land Rovers situated along Balewa Rd, open 08h00-17h00 during working days and 08h00-12h30 on Sat; Tel: +260(0)21 332 0888. (Jan-2019). Banks around Livingstone includes Barclays bank, Stanbic, Finance, FNB, Investrust Bank Plc, ZNCB and there is the Golden Coin Bureau De Change situated at Kobil Filling Station, Livingstone which caters for all the currency exchange services; Tel: : +260(0)21 332 4776. (Jan-2019). Police contact added is for the Livingstone central police station. (Jan-2019). There is the Falls Park Shopping Centre, a one stop shopping centre in the city. 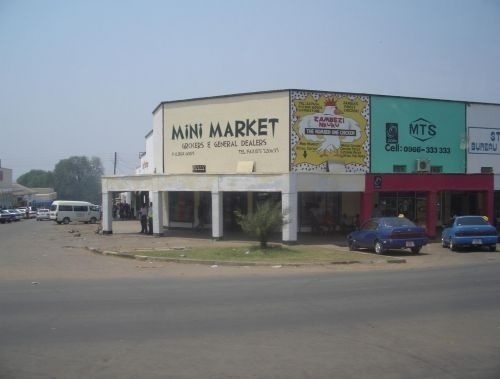 For craft market, visit the Mukuni Park Curio Market along Mwela Street. Bobbili Gems and jewellery offers a selection of jewellery, necklaces and earings. (Jan-2019). Tow-in tel is for CFAO Zambia but they cater for their clients only who have the Nissan vehicle brands. (Jan-2019). Tyre repairs services are also offered at Foley's Land Rovers situated along Balewa Rd, open 08h00-17h00 during working days and 08h00-12h30 on Sat; Tel: +260(0)21 332 0888. (Jan-2019).